I am just wondering if you guys can help me wire these cables correctly. 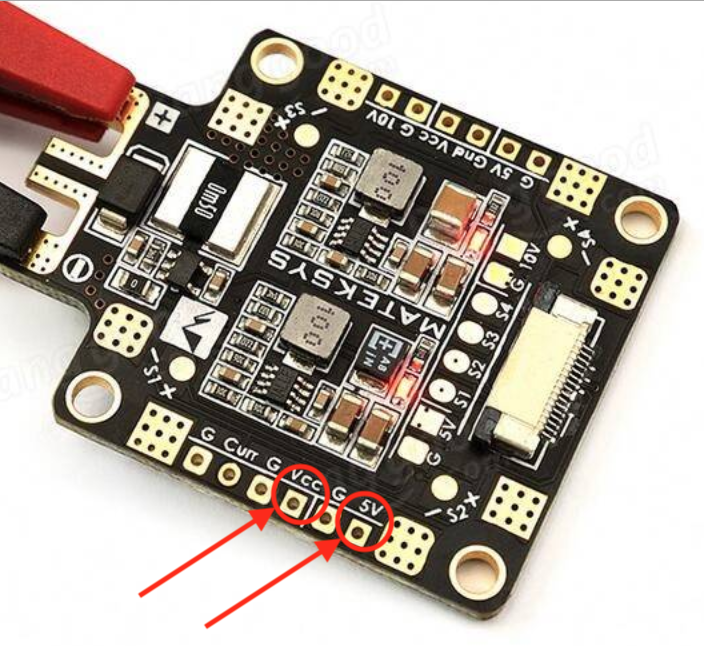 I have this Matek FCHUB-6S Hub Power Distribution Board to power my Pixracer but I am not sure how to connect these cables correctly and I am not sure what is the difference between Vcc and 5v. I believe Vcc is voltage sensor but I am not sure. I attached some images to help explain, please guys have a look and let me know if you can help me. I bought one of these Matek boards myself and was having the same concerns. After poking around with a multi-meter it seems that the Vcc is a direct connection to the battery voltage, so would give ~14.8 - 16.8 Volts if your're using a 4S battery. 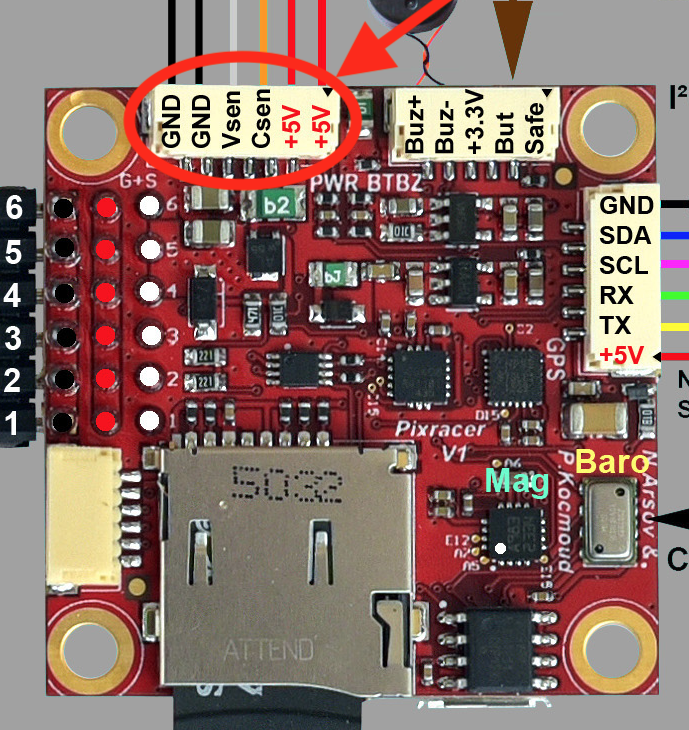 Vcc is not a voltage sensor, it will destroy your flight controller if connected directly. I don't think the board actually has a voltage sensor. I'd say that the 5V pad you circled in the lower image will be suitable for powering the pixracer, mine gave about 5.03V which is well within tolerance.